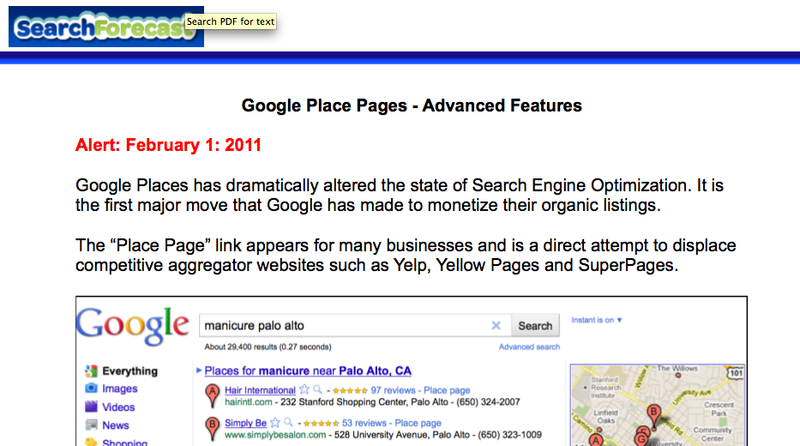 If you don’t know, Google is monetizing their organic (left hand side) listings with the introduction of Place Pages. We are undertaken a lot of place page optimization and you’re welcome to download the briefs we’ve published on “Google Place Pages – Tips & Advanced Features“. Whilst the pages are listings of information (name, address, phone, google map, opening hours, photo/youtube video upload, street view, etc), the implications for review websites can be seen in the battle Google is having with TripAdvisor. It’s clear that Google is driving revenue now. The results we see from many clients is that the Place Pages are generating more traffic than the individual website. That has massive impacts on the smaller end of the website development market.